For the past 12 years I have had the pleasure of editing the New Horizons in Leadership Studies series for Edward Elgar. The aim of our series is to publish genuinely new ideas, perspectives, and approaches to the study of leadership. I was very pleased when Donna Ladkin and Chellie Spiller proposed doing a critical collection of original papers on authentic leadership, Authentic Leadership: Clashes, Convergences, and Coalescences. While there was quite a bit of mainstream literature on authentic leadership, Ladkin and Spiller’s book offered new approaches and formats for critically examining the conventional idea of authentic leadership. I have always been skeptical about the usefulness of constructs such as authentic leadership in part because they often claim admired iconic leaders as exemplars of their theories. 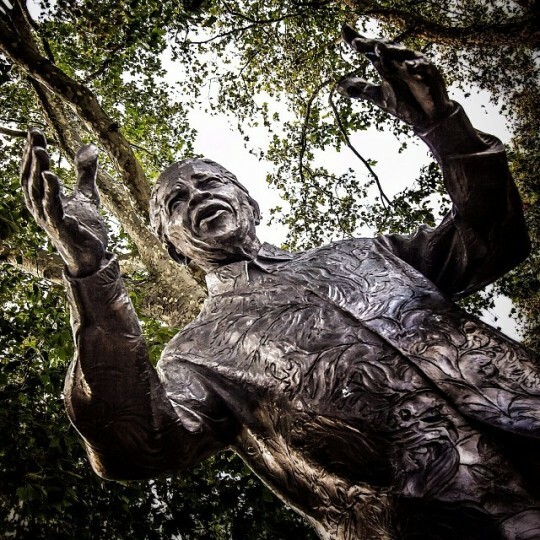 When Ladkin and Spiller invited me to write an article for their collection, I thought that it would be a nice opportunity to write a piece that illustrated the limitations of authentic leadership using an in depth study of Nelson Mandela. I became interested in Mandela in 2000 when I was doing some work in Cape Town for the United Nations International Leadership Academy. During that time, I was invited to attend a reunion of the African National Congress (ANC) on Robben Island. The organizers of the event closed the island off to tourists and presented a series of seminars by former political prisoners and their jailers. It was very exciting to meet some of the people that Mandela talked about in his 1994 autobiography, Long Walk to Freedom. Former prison guards described what it was like to have this group of intellectual revolutionaries in their care. Mandela was not on the island that day, and I was a bit surprised that the other former inmates and jailers did not talk as much about him as I had expected after reading his autobiography. Perhaps this is simply because the writer of an autobiography takes center stage and the story reflects the author’s perspective on himself, selective memory, and the story he or she wants to tell. Some of the obvious limitations of his autobiography made me even more curious about Mandela but I did not do any further research on him until 2009, when I became a visiting professor at Mandela’s alma mater, the University of Fort Hare. Fort Hare houses the ANC archive, which contains some of Mandela’s papers from when he was in prison. Over the course of my visits to Fort Hare, some of the most interesting things that I read from the archive were Mandela’s comments in his day planner and on margins of his autobiography, which was written with Richard Stengel, editor of Time Magazine. It was clear from the marginalia and from Mandela’s descriptions of writing his memoir that Mandela and others had meticulously crafted Mandela’s story. During that time, I was in a documentary called “The Magic of Mandela” that aired on Dutch television. Most of the documentary consisted of interviews with people about what it was like to meet Mandela. While I had never met Mandela, he really did seem to have a peculiar “magical” effect on others. The more I read and heard about Mandela, the more I wanted to know what he was really like because he really did not seem to fit the mold of any leadership theory, including authentic leadership. The Authentic Leadership Questionnaire (ALQ) measures self-awareness, balanced processing, internalized moral perspective, and relational transparency. The name and theoretical foundation of the theory comes from the idea of self-knowledge and the factor of relational transparency or how transparent a person is in his or her relationships with others. As I continued my research into the stories about the writing of Mandela’s autobiography (both in prison and with Stengel), biographies of him, and materials from the archive, I discovered a set of questions and anomalies concerning Mandela’s story. My research indicated that Mandela was a reflective man, but not a transparent one in print, as a leader, and in his relationships with others. That is why I titled my paper “Searching for Mandela: The Saint as a Sinner Who Keeps on Trying.” In one of the last things that Mandela wrote, he notes that the ideas people have about him are so strong that they do not know who he really is. As his biographer and friend Richard Stengel observed, “He wants you to come away from meeting him thinking that he is everything you had ever hoped for.” This comment made me realize that once a leader like Mandela becomes an icon, it is almost impossible for him to be authentic. When a leader becomes a set of noble ideas and a cause, relational transparency is not always an option. Such leaders get stuck in the role of what everyone thinks they should be. The broader implication of my study is that leadership scholars should be careful about claiming iconic leaders as authentic, servant, or transformational. While iconic leaders may demonstrate some of the characteristics of a leadership theory, they are in a class of their own. In short, leaders like Mandela are iconic precisely because they do not fit a particular set of characteristics. Joanne B. Ciulla is Professor and Coston Family Chair in Leadership and Ethics at the Jepson School of Leadership Studies, University of Richmond (where she is one of the founders of the school) and visiting professor at Nyenrode Business Universiteit. She has had academic appointments at La Salle University, Harvard Business School, and The Wharton School; and held the UNESCO Chair in Leadership Studies at the United Nations International Leadership Academy in Jordan. Ciulla has a B.A., M.A. and Ph.D. in philosophy and publishes on leadership ethics, business ethics, and the philosophy of work. She is editor of the New Horizons in Leadership Series and editorial board member for Leadership and the Humanities.